One of my favorite pastimes as a young teenager was organizing periodic Mad Tea Parties with my siblings. We would all dress up as characters from the book, and then read the text verbatim out of our multiple copies of Alice in Wonderland (after a while, we mostly had it memorized). Our tea service was composed of every one of my mom’s large white corelle tea cups (we always laid the table for a great many more than three), which we filled with weak herbal tea and abundant milk and sugar. Hannah sometimes complained about having to always be Alice, but she was the only one with golden hair. 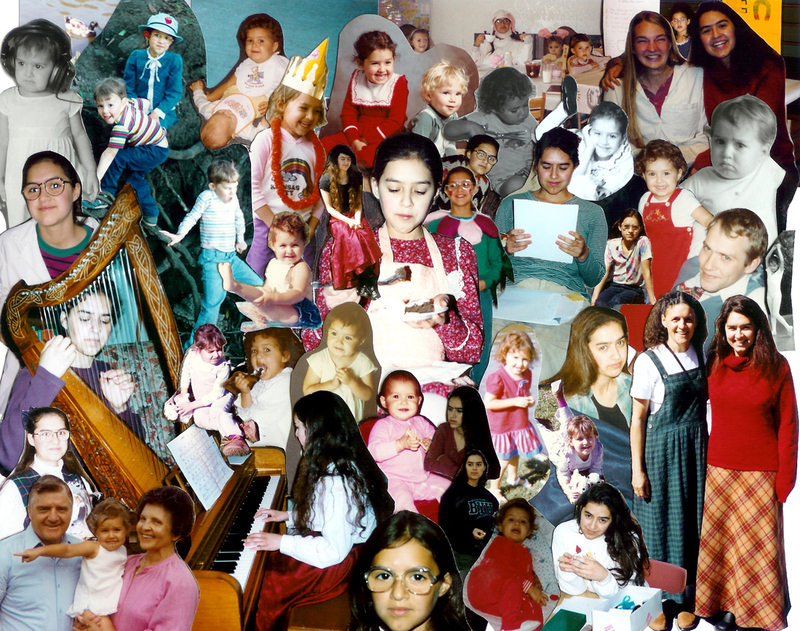 If you absolutely must see a photograph of one of our parties, the only one I could find is part of this photo collage of my childhood years. The Mad Tea Party is at the top in the middle. Yes, I’m the one in the floppy white bunny ears. End of story. After a hiatus of a dozen years or so, I resurrected the practice of having tea (although not mad parties) with my children a few years ago, as part of our homeschool. We bought each of us a special mug, and around mid-morning (weird time for tea, I know) we sat down to apple slices, toast, sometimes cookies, and our tea. While we ate, we read Emily Dickinson and looked at reproductions of Monet paintings. We’ve switched up the schedule again, and tea time isn’t part of our homeschool routine for the moment. But Tony and I have it ourselves now, after the children are in bed. We settle down on the couch with our warm tea, flip on my in-laws convenient gas fireplace for instant atmosphere, and unwind together as we discuss our day. It’s Rooibos, or Red African Bush Tea, in two delightful incarnations. The one on the bottom, which describes itself picturesquely as “Organic African Nectar,” contains hibiscus and marigold flowers. It’s all wrapped up in a charming little artisan silk tea bag, serged neatly around the edges. Delicious. The one on top is even better. It’s Rooibos Chai. If you haven’t yet tried Chai (or as it is known more properly in its home country of India, masala chai), you’re missing a great pleasure. Rooibos Chai is a sort of African fusion drink, which melds the traditional spicy Indian flavors of masala chai with rich African Rooibos. This particular blend contains cloves, allspice, ginger, nutmeg, cinnamon, and cardamom. I have a great tea party picture with you kids and Grandma F. She is always such a good sport.